This traditional Texas smoked brisket owes a lot of its character to the aromatic mesquite used in the smoker. 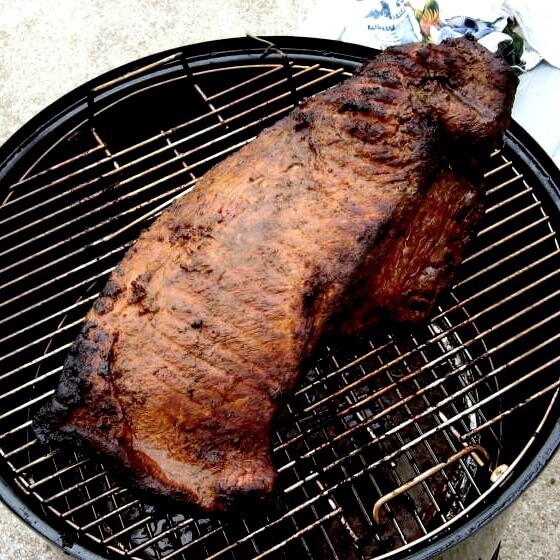 A Southwestern style brisket rub completes the flavor profile. Grab a few Lone Stars before you start the smoker. It's going to take a while. Mix the spices, salt and sugar well, then coat the mixture onto the brisket. Plastic wrap it and let it rest in the fridge overnight if you have time…if not, try to give it at least a couple of hours. And remember. To get that dry rub flavor into the meat on both sides, score the fat on the fatty side. Cut down into the fat far enough to just expose the meat, in a pattern of one inch squares. Smoke with the mesquite chunks. If you don't care for mesquite, oak will do a great job. When the internal temperature reaches 190 degrees, take it off, cover it, and let it rest for thirty minutes to an hour before slicing it across the grain. Now that the Lone Stars are gone, pull out the Shiner Bock. 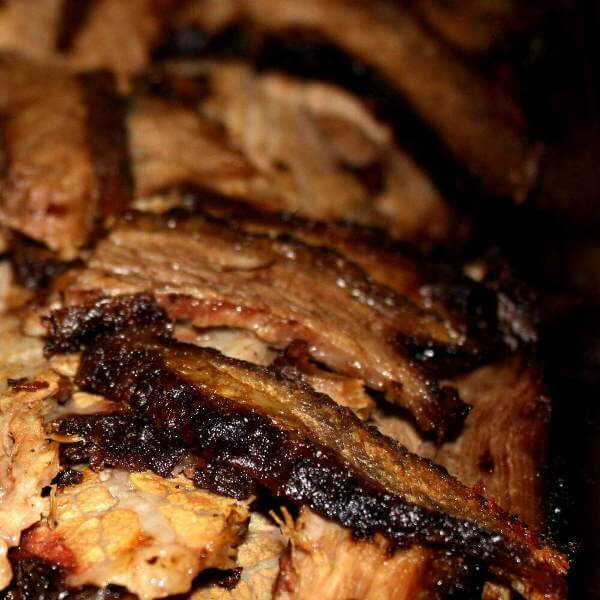 Texas Smoked Brisket has a lot of flavor, and the rich bock beer compliments that flavor nicely.